These solar power facts will help you understand how you can generate your own residential solar electricity. 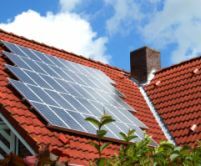 Here are the facts about solar power you need to know if you are thinking about installing a home solar energy system. 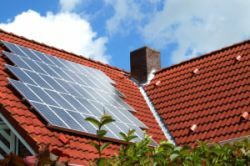 There are three main types of residential solar energy systems. They are grid-tied PV system, grid-tied PV system with battery backup, and stand-alone PV system. 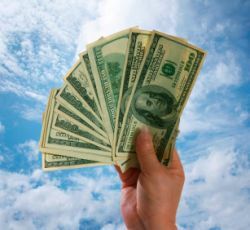 A grid-tied system is connected to your utilities power lines which allows you to "sell" any excess electricity you generate to your utility. A stand-alone system is not connected to your utilities power lines, thereby providing you with an independent source of electricity. 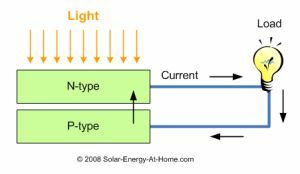 The three components of a solar power system are the Photovoltaic Devices, the Load, and the Balance of Systems (BOS). The PV Devices are the solar panels that convert the sunlight into solar electricity. The Load consists of all of the devices that use the electricity generated by the PV Devices. This includes items like your microwave and blow dryer. The BOS is all of the equipment between the PV Devices and the Load. This includes items such as the solar power inverter and storage batteries. The entire Photovoltaic Devices subsystem is a modular system. The key component of the PV Devices subsystem is the solar panel. A home solar power panel is actually made up of a group of solar cells that are joined together inside of a frame. The solar panel in turn is able to be expanded into a solar array by joining it together with other solar panels. Modularity is what makes a home solar energy system so flexible. 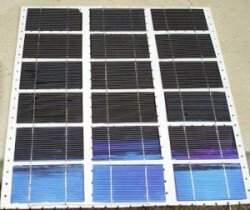 The first type are monocrystalline PV cells. These cells are about 15-18% efficient, but are also very expensive. 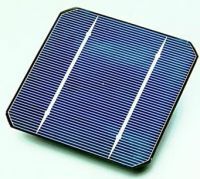 The second type are polycrystalline PV cells. These cells are less efficient than monocrystalline cells but are less expensive. The third type are amorphous silicon cells. These cells are not as efficient as crystalline cells but are also less expensive. As you can see, it's a tradeoff between efficiency and cost. The photovoltaic effect is a process where certain materials are able to generate electricity when exposed to light. 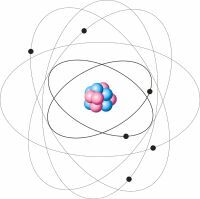 This process was discovered in 1839, but it wasn't until 1954 that a material was developed at Bell labs that provided enough efficiency to be practical. This material was a Silicon semiconductor. This Silicon semiconductor had a 4-6% efficiency rating. Earlier materials were less than 1% efficient.